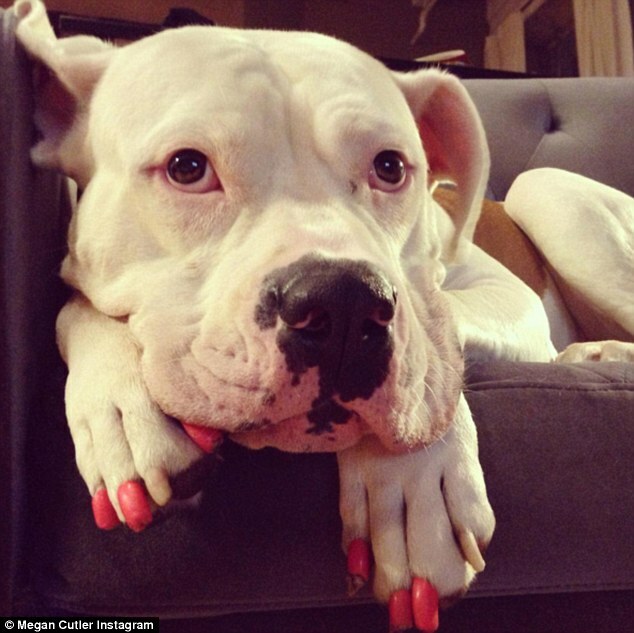 Furry fashionistas are jazzing up their paws with the ultimate puppy pedicure. 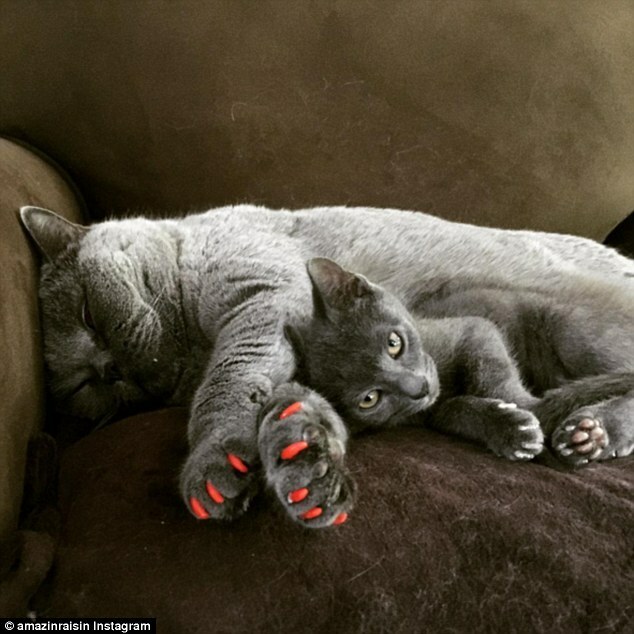 Cats and dogs are sporting brightly-hued, glittery claws, with some even coordinating their moggie manicures with their owners’ nails. But while the trend is fashion-forward it serves a dual purpose: to prevent overexcited animals from scratching – and damaging – your furniture. 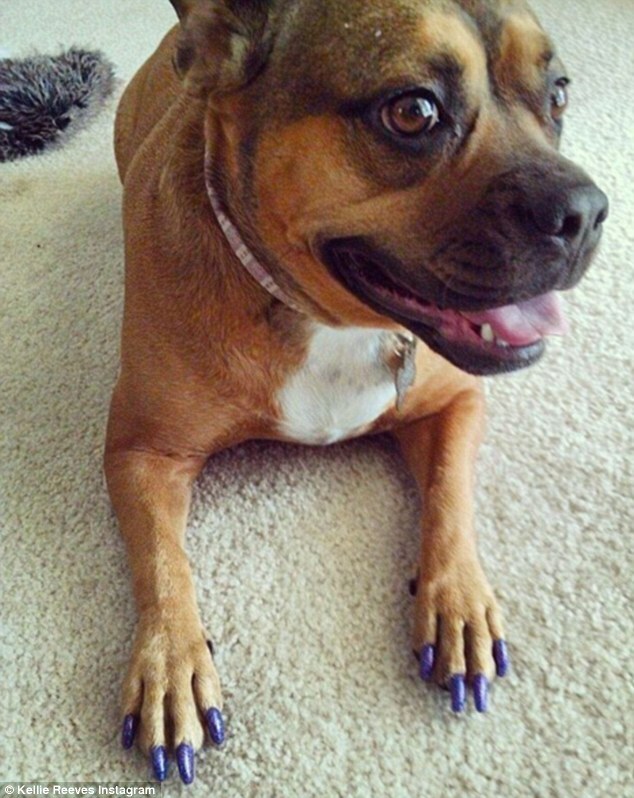 Soft Paws are made from a non-toxic vinyl and stuck on to your pets’ claws. 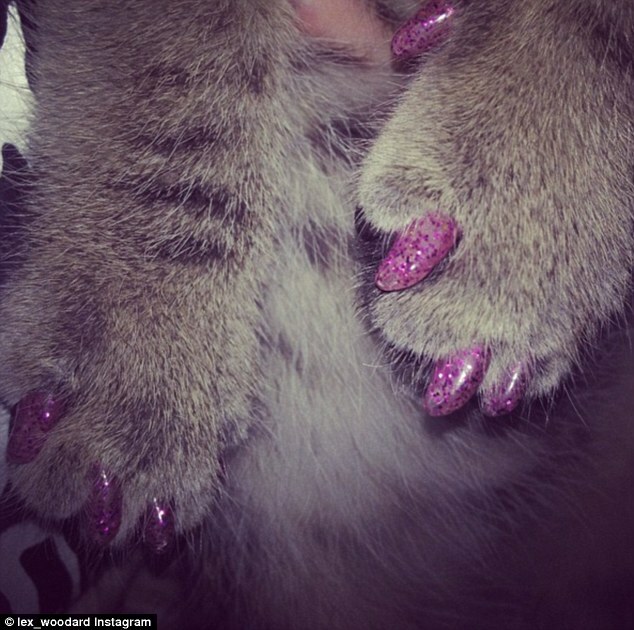 The innovative design comes in a range of different colours – including glitter claws, technicolour hues and pastels. 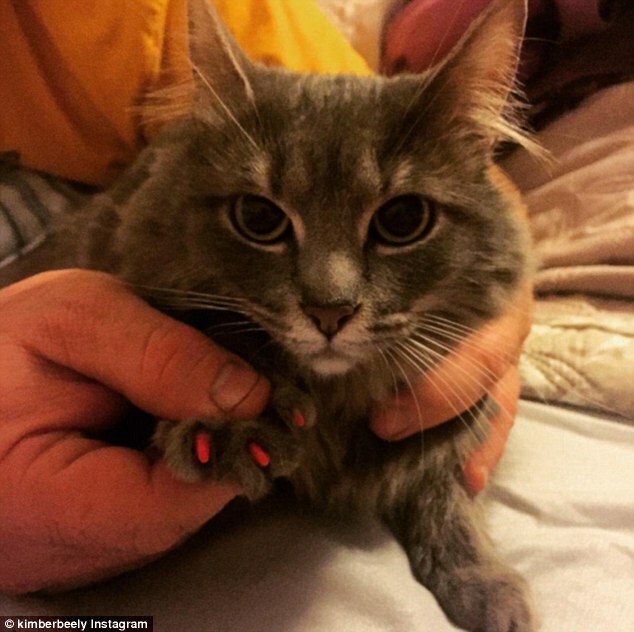 Cat and dog owners simply glue the fake nail on top of their animals’ claw, and it lasts four to six weeks depending on the natural growth. The vinyl claw covers offer a safe alternative to de-clawing animals. 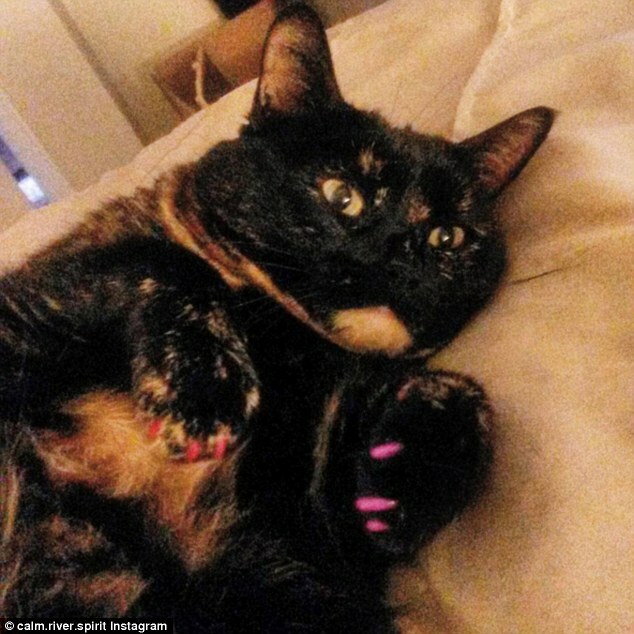 The fake claws do not prevent your cat or dog from stretching or scratching as normal, but the soft cover means no damage is done to your furniture. 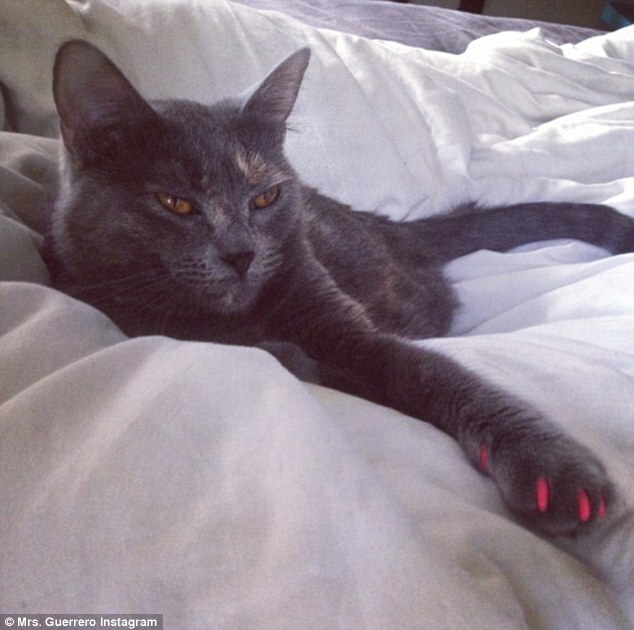 The trend is rife on social media where animal lovers have shared adorable photos of their fashion-forward pets – with many choosing to coordinate their manicure with their animal. 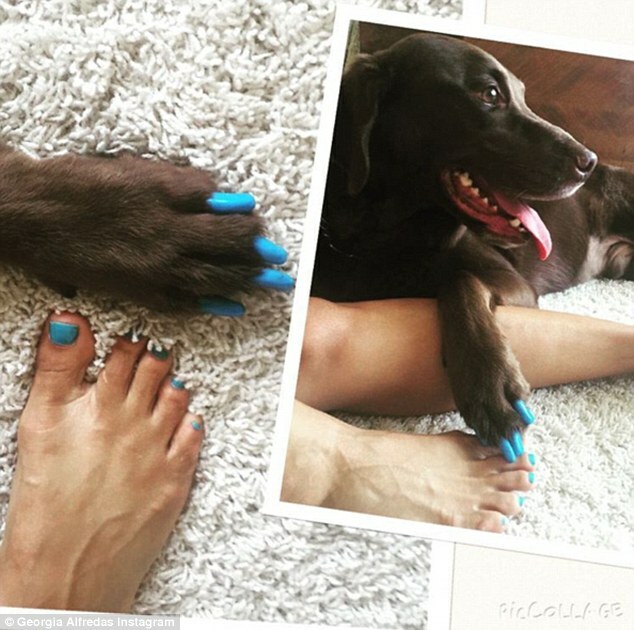 ‘#Wednesday #TwinsDay coloured #SoftPaws for my baby so he doesn’t scratch up my floors,’ one woman wrote alongside a photo of her, and her chocolate labrador’s, bright blue nails. 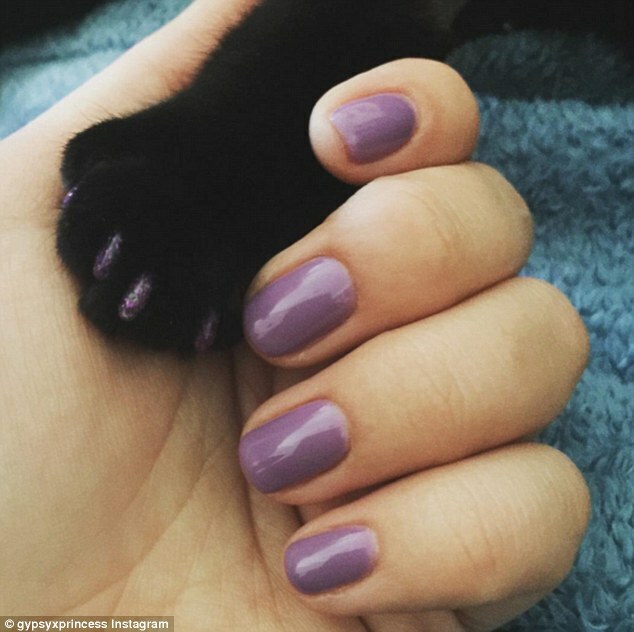 Another woman posted a photo of purple hue nails next to her black cat’s paw, that was adorned with purple glitter paws. 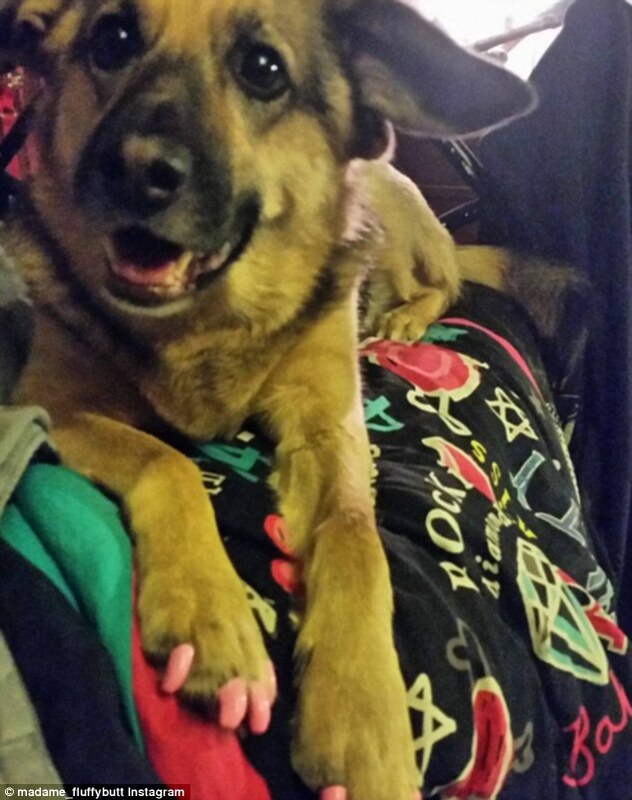 ‘#Calliope got some #SoftPaws put on yesterday just because she’s bad! And likes to chase and slap around the dogs. Don’t need anyone getting a corneal ulcer. But of course she has to match with her Momma,’ they wrote.